I am addicted to yarn. I have three cats and a Golden Retriever. My daughter is a pastry chef in training. I had a babysitter that taught me how to crochet and knit at the age of 7. I have been "hooked" ever since. 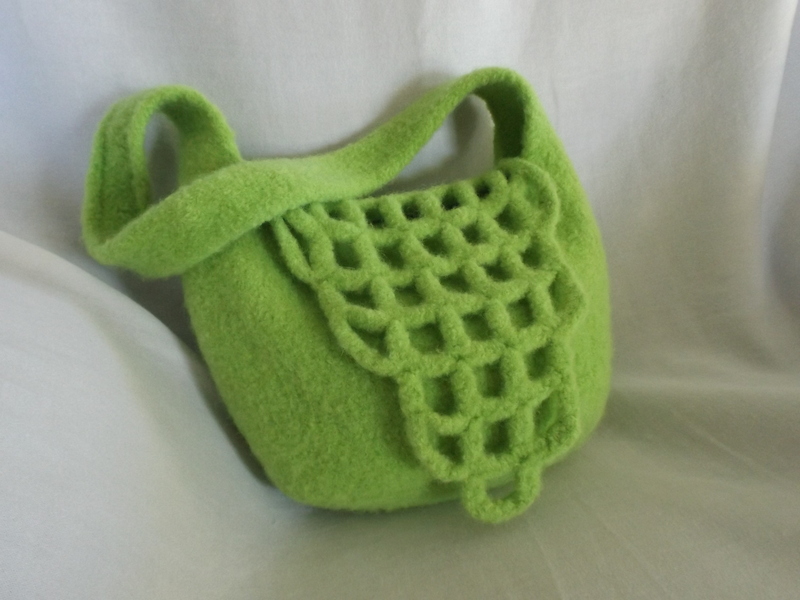 I recently made a Kiwi Green felted purse with an openweave crocheted flap. I found 100% yarn in the fabulous color of kiwi at my local yarn shop. I designed the purse as i went along. 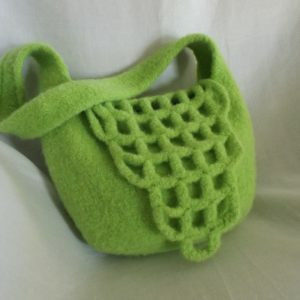 Once the body of the purse and strap were knitted, I realized it needed a really unique flap. I got out my crochet hook and started making the openweave flap. 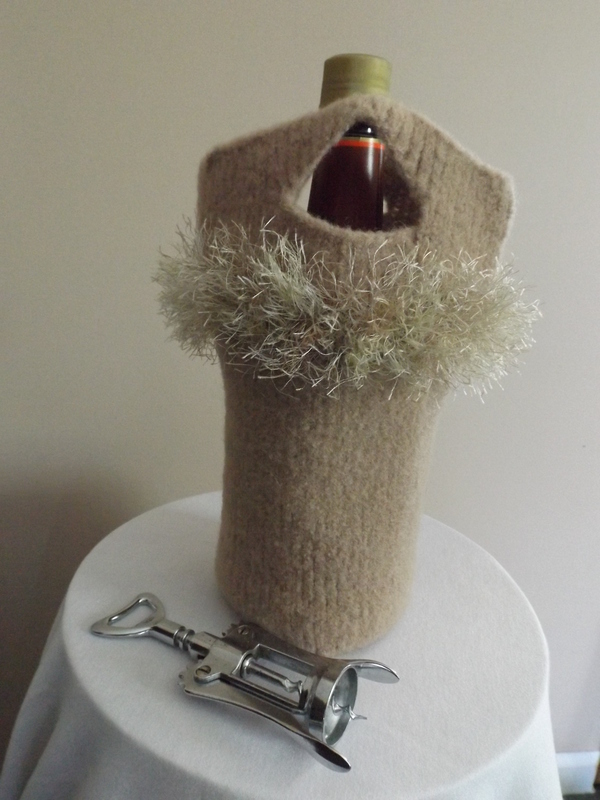 Once done, I threw it in the washing machine in hot water and let the felting process do its thing. 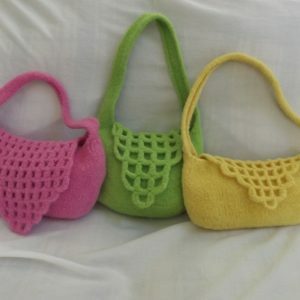 I loved the outcome so much that I made several other purses in different colors. 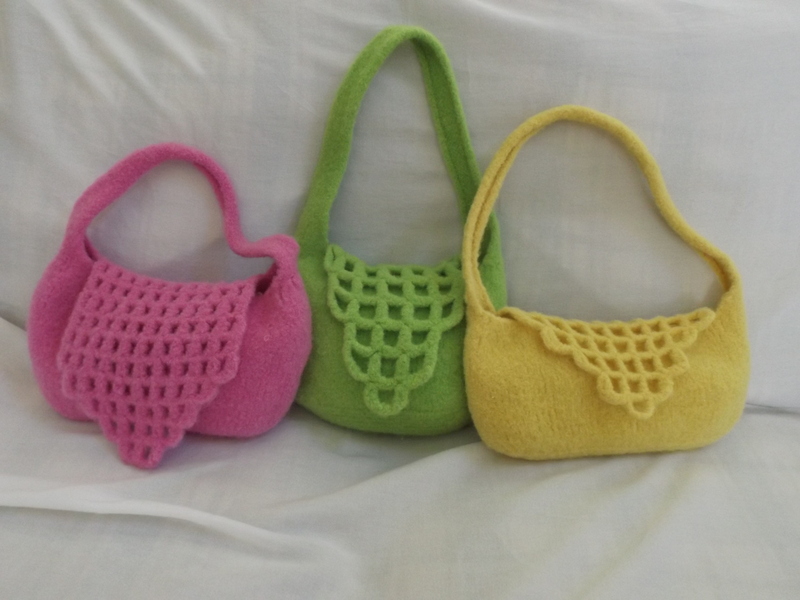 Making handmade items allows me the freedom to design my own purses and make items with specific features. 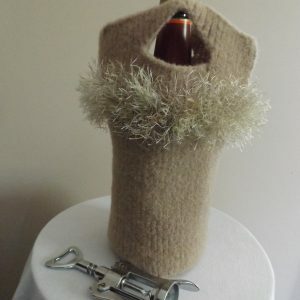 I love the sense of accomplishment I feel when my handmade creations are appreciated by others. « Designer. Blogger. Crafter Extraordinaire.